No matter what kind of hydraulic system we’re talking about, valves play a very important role. However, if your system involves intense pressures, you need to be extra careful to select valves that are engineered to a high standard. For valves you can rely on to perform in even the most demanding environments, choose Oilgear high pressure valves in Wilmington CA. In 2008, Oilgear acquired The Olmsted Products Co., a valve manufacturer with over 40 years of experience designing and manufacturing valves for high pressure and high flow applications. This means that you can get both standard valves and specialty Oilgear high pressure valves in Wilmington CA designed specifically for your unique application. Just the name “Oilgear” brings a lot of value because you know Oilgear valves have been designed and manufactured to a high standard. But if you want to be sure you are getting genuine Oilgear parts that live up to the company’s excellent reputation, you want to be careful where you get them. 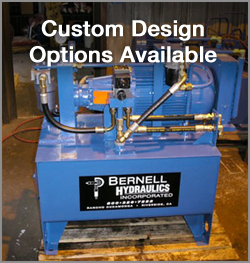 At Bernell Hydraulics, we promise that you will only find authentic parts on our shelves. This includes any Oilgear high pressure valves in Wilmington CA you may need. Other reasons to shop with Bernell include the fact that we offer exceptional customer service and our staff will be happy to help you find the specific valves you need–as well as any other components–on our shelves or from the Oilgear catalog. Call us at 800-326-7252 now to order your Oilgear high pressure valves in Wilmington CA.